Are you suffering the consequences of surgical malpractice? Many people feel uneasy at the prospect of surgery, but they often find relief in the idea that their medical providers are qualified, alert and experienced. Unfortunately, some Dayton patients discover that their medical providers have failed them. If this is your case, you deserve to know your legal options. Elk & Elk is here to advocate for you or a loved one following surgical injuries. Through more than 50 years of our practice, we have developed a deep knowledge of medical topics, patients’ rights and health care law. Our Ohio legal team can research your specific condition, your symptoms, the procedure you underwent and the injuries you suffered. We will fight for you. Because your surgeon or doctor might not want to admit a mistake or fully investigate your symptoms, he or she might not help you discover the real cause of your pain and suffering. We urge you to seek a second or third professional opinion if you suspect that something is wrong after surgery. Do not wait to act; your medical condition and pain may worsen with time. Surgical mistakes can happen during any type of operation – from wisdom teeth removal to open-heart surgery. In routine surgeries, medical staff members may be far less attentive than they should be to keep the patient safe. In complicated or critical surgeries, medical staff members might allow stress to cloud their judgment. Regardless, surgical negligence is inexcusable, and it can have a profound impact on victims of medical malpractice. If the original problem returns, if you feel abnormal pain or if you have new medical issues following surgery, your doctor might tell you that the surgery was simply unsuccessful. He or she might mention that every surgery carries at least some degree of risk or insist that your symptoms will fade. However, your medical providers have a duty to minimize surgical risk – and your symptoms may signal that something else is happening in your body. By law, medical providers must perform up to the “standard of care.” This means that an average medical professional in their role would be likely to make the same decisions and take the same actions that your provider did before, during and after your surgery. Certain surgical injuries do not match the normal risk level of complications. These problems are not a result of natural chance or undetectable medical factors. Instead, these injuries may be a direct result of a hospital staff member’s or surgeon’s negligence, which is also known as a breach of standard of care. Proving breach of standard of care is an essential task in any medical malpractice case. To learn more about whether medical negligence could have caused your injury, call Elk & Elk at 1-800-ELK-OHIO. We frequently seek expert medical testimony to support medical malpractice claims in court. If a reliable medical professional determines that your surgical staff did not perform up to the standard of care in your case, then the jury may find that negligence, recklessness or even malevolence contributed to your injuries. Medical terminology and legal jargon do not have to be barriers to justice. We can assess the evidence to explain your surgical injuries as well as your legal rights. At Elk & Elk, you can rely on experienced attorneys who deeply value your physical, mental and financial recovery. Entrusting a hospital with a loved one can be nerve-racking. Losing that loved one in surgery can feel like a total betrayal of your trust – especially if you discover that the health care providers did not fully respect your loved one’s life and well-being. Unfortunately, friends and family members of the patient might not discover the true cause of death. Fatal outcomes during major procedures, such as an emergency abdominal surgery, may be less suspicious than fatal outcomes from a routine or minor procedure, such as a cesarean section. As a result, some families might never detect that medical negligence was a direct factor in the loss of their loved one unless they inspect the details of the tragedy. If your loved one died during or soon after surgery, you need to know the facts. Medical records and an autopsy may reveal evidence of a surgical error. Medical records are likely not available to all family members, however, and not everyone has a legal right to sue for medical malpractice after losing a loved one. Eligible individuals are dependent on the case. In most situations, a patient’s spouse, the parent of a minor patient, a personal representative or someone with powers of attorney might have legal authority to access medical records or to pursue a lawsuit. This process can be extremely emotional, which is why our Dayton lawyers remain respectful and empathetic. We can work to access the information you deserve to know, and we can assist you in filing a wrongful death claim. It can be difficult to distinguish between “normal” surgical complications and medical negligence. 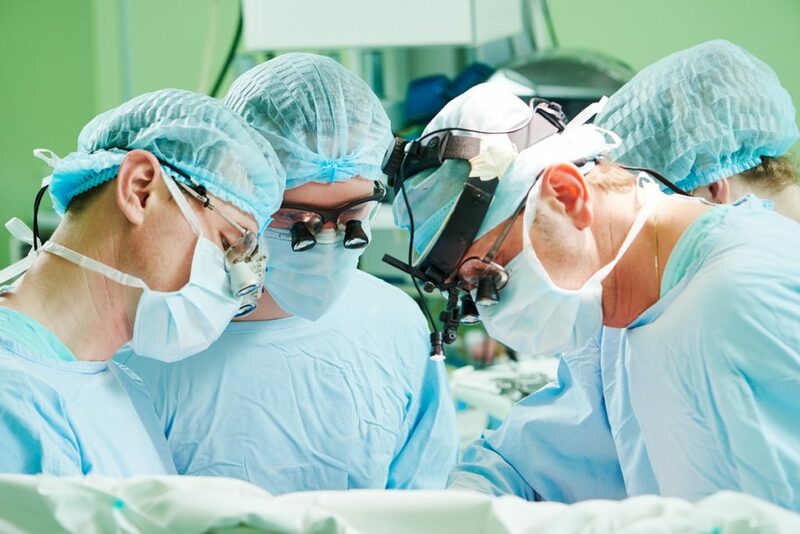 If you believe you or a loved one may have suffered injuries due to a negligent surgeon, anesthesiologist or other medical provider, get a free consultation with our talented attorneys. Call 1-800-ELK-OHIO or contact our law firm online to meet with a compassionate medical malpractice lawyer in Dayton. We can guide you through every step of the process.